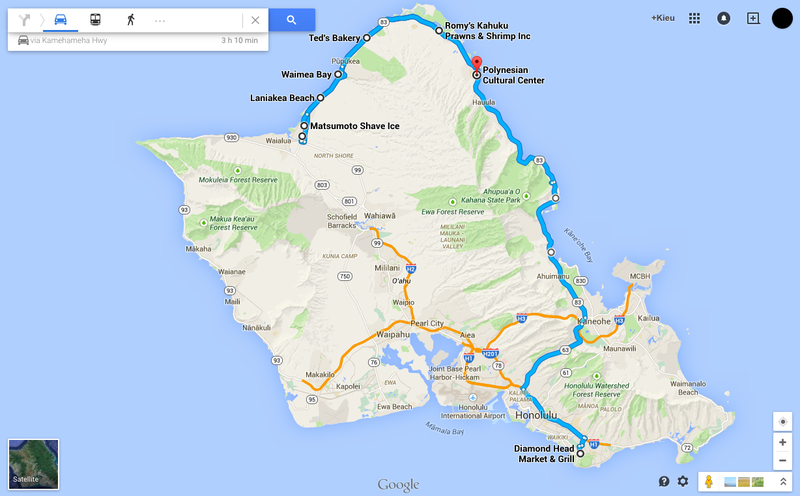 A trip to Oahu is not complete without a day exploring the North Shore. For starters, the shrimp trucks are all up there! Also, it’s home to the gnarliest of surf competitions. We rented a car from Hertz conveniently located inside the Hyatt Hotel on Waikiki Beach. So convenient, we walked from our hotel to pick up our car for the day. Distance wise to the North Shore from Waikiki may not look far on the map, maybe 30 miles tops, but there’s always jammed pack traffic so give yourself 1-1.5 hours getting up there. I would suggest grabbing a light bite before heading up, but there is no such thing as a light bite in Hawaii, unless it’s musubi on-the-go from Musubi Cafe Iyasume at their new location inside Pacific Monarch Hotel (you can walk here before picking up your car). A favorite stop of mine on the way up is Diamond Head Market & Grill for their signature blueberry cream cheese scones — mind-blowing good! They also serve loco moco, kim chee fried rice, steak and eggs and more. All that said about light bites and more, I really do stress on eating light to save room for lunch at one of the shrimp trucks. Giovanni’s is the most famous of them all and it’s good, you won’t be disappointed. But by far our favorite truck up on the North Shore belongs to the brilliantly red and hard to miss, Romy’s Kahuku. It’s all in the sauce and their butter and garlic is on point! Not to mention, I think they cook the shrimp to perfection. 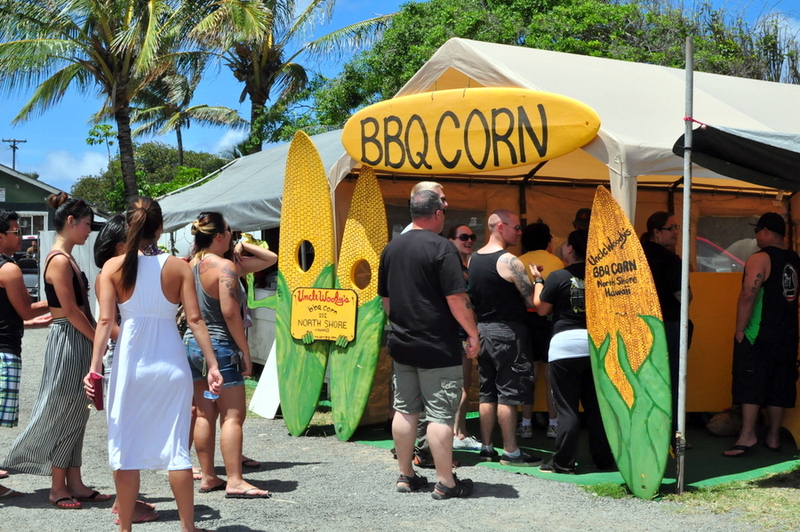 Located in the same lot as Giovanni’s, don’t forget to stop by Uncle Woody’s for a #1 Island style corn on a cob — nothing fancy, just butter, salt and pepper on a perfectly roasted sweet corn will have you swooning for more. 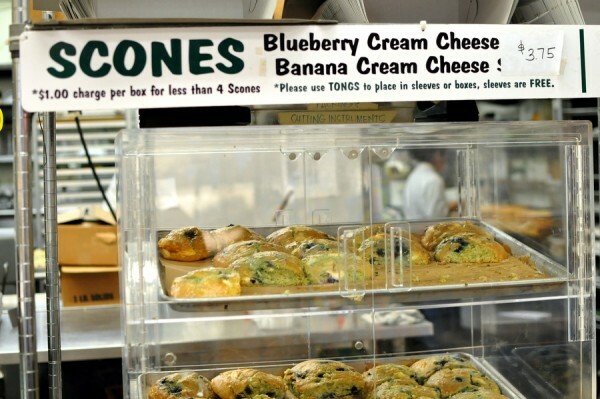 For a midday cold treat, head on over to Ted’s Bakery for their a slice of haupia pie, a perfect blend of chocolate and coconut mousse-like pie or Matsumoto Shave Ice for a rainbow, icy treat. We never made it to Matsumoto, the lines were always long. And there’s always the popular Dole Plantation, a little bit touristy, but worth the stop just for the dole whip alone. Tip: You can request to add li hing mui powder for a kick. 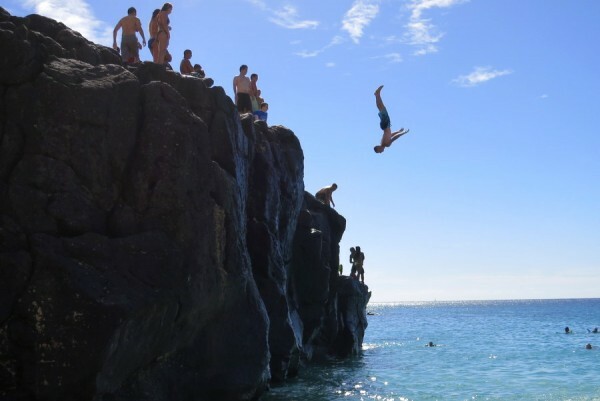 A popular thing to do while in the North Shore is go cliff jumping at Waimea Bay. But if you’re not the daredevil type, it’s also a great beach to lounge around and watch others jump off the huge rock. 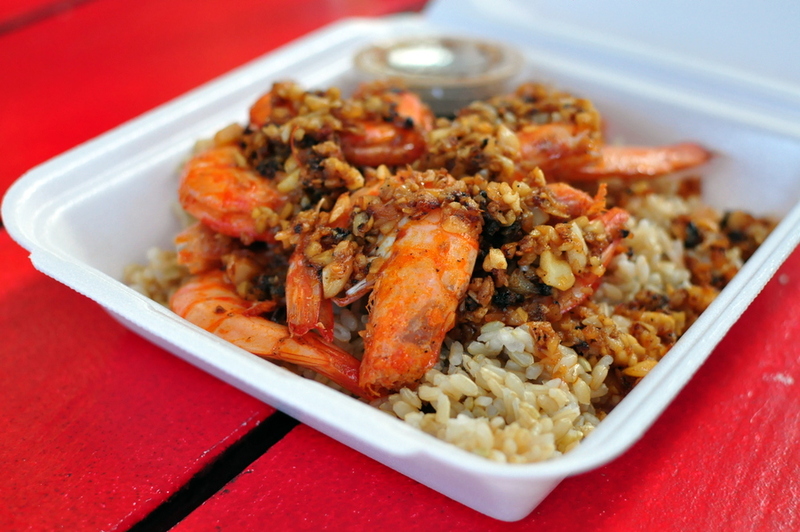 Come here after you’ve had lunch at one of the famous shrimp trucks. There are no beach umbrellas here and the sun can get pretty hot so be sure to bring extra sun screen and hat. 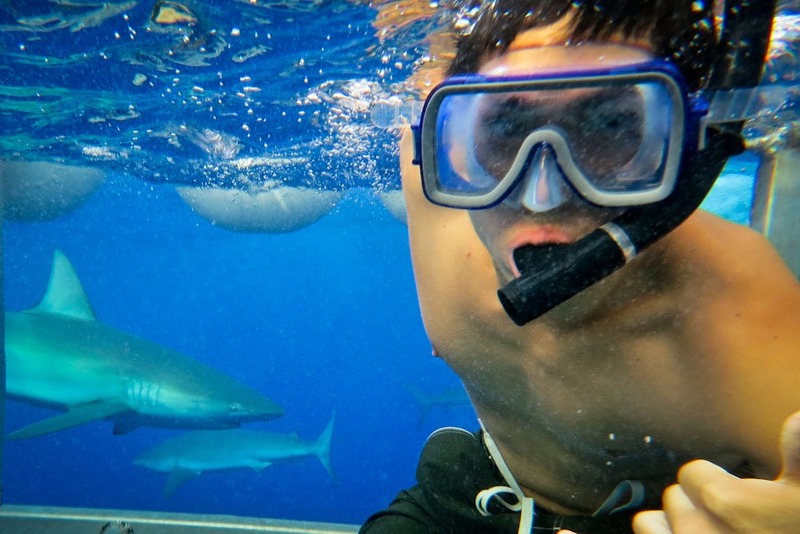 For the adventurous in you, spend your morning with Hawaii Shark Encounters and go cage swimming with sharks — we did! 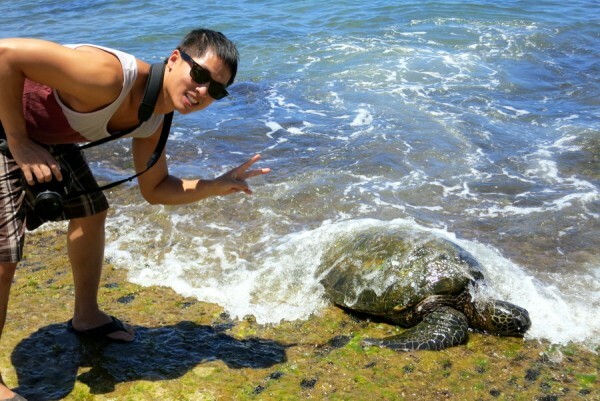 Visit Laniakea (or Turtle) Beach and catch a glimpse, or take a selfie, with the Hawaiian green sea turtles. Since these are threatened species, you’re not allowed to touch, feed or play with them but it’s still pretty awesome to see them swim in the shallow waters and come up to sunbathe on shore. The Polynesian Cultural Center requires a full day trip alone, separate from everything we’ve mentioned above. A visit to the PCC is great for first-timers in Hawaii. You get to learn about the different Polynesian cultures, enjoy a traditional luau dinner and catch an evening dance and fire show. What’s your favorite thing to do up in Oahu’s North Shore?